Gone are the days when hair loss was a problem only for women as men nowadays are also trying to get their hair grow back. Poor diet, the hair products, age, stress, hormonal changes and various environmental conditions are some of the causes for the hair loss. Why use a DIY hair growth serum? What are our DIY hair growth serums? Homemade hair serums are both economical and safe to use and making your own serum isn’t as complicated as one may think. you can get pretty creative and try various essential oils that are already known for their ability to help the hair grow longer and thicker. Using a homemade growth serum, you’re also going to be able to protect your scalp and hair from the harsh chemicals within most commercial hair products (don’t hesitate to have a look at our selection of off-the-shelf hair growth serums – we’ve chosen the safest ones). 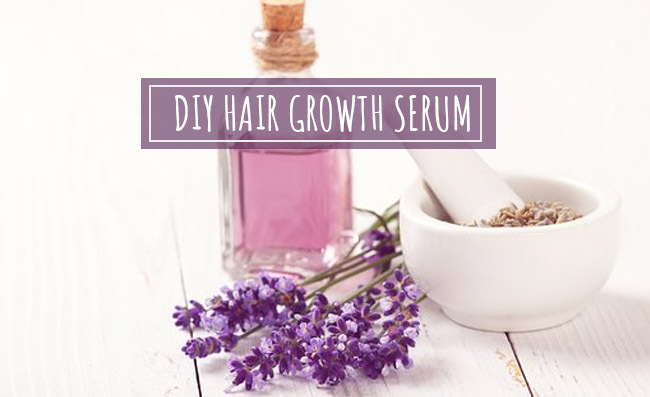 As long as you’re paying attention to the details and you’re patient enough until you start noticing the results, you shouldn’t encounter any difficulties when making your very own DIY hair growth serum. Avocado oil-is going to improve elasticity and softness of your hair. It presents a high-fat content so it improves the texture of your hair and reduces risk for hair breakage. Coconut oil- it’s able to boost blood circulation when massaged into your scalp. It offers nutrients and oxygen to your hair, presenting both antibacterial and antifungal abilities. It addresses dandruff and lice as they also lead to hair loss. It’s loaded with vitamin K and E, and iron and they’re known for boosting the hair growth. let’s not forget the antioxidant abilities that help with the shine and softness of your hair. Vitamin E- is a great ingredient for hair growth. It sustains the blood circulation and oxygen supply to the scalp. Sweet almond oil- it fights hair loss as it boosts hair growth. It’s full of vitamins and magnesium that encourage hair to grow and reduces risk for hair breakage. It also sustains the blood circulation. Add 4 tablespoons of the sweet almond oil and coconut oil. You can also use castor oil. Use only 2 tablespoons of avocado oil. Shake very well after adding the ingredients. Break and add 3 capsules of vitamin E into the mix. Stir slowly and very well. Put some of this mixture onto your palm and apply it to the whole scalp. You need to slowly spread the serum along the hair strands, combing the hair nice and gently. You can use the serum twice a day and rinse it off with a mild shampoo. Presenting high amounts of ricin oleic acid, the castor oil is an amazing ingredient for both skin and hair. Ricin oleic acid is effective for balancing your scalp’s pH and boosts the blood circulation to the scalp, thus improving hair growth. The castor oil is loaded with minerals and proteins, but also in vitamin E. It has antifungal abilities and helps you get rid of various infections and dandruff. The castor oil also has antioxidant properties and it’s amazing for the hair keratin. It helps your hair get smoother and stronger, eliminating frizz and flyaway. It turns any DIY hair growth serums into effective solutions that help the hair grow stronger, longer and with a healthier shine. It combines great with many essential oils, so get as creative as you can. You can also dilute the mixture with some water. You may apply the serum to your scalp every night, massaging it gently so that it gets to the roots. Use a natural shampoo in the morning when washing your hair. This particular serum combines various essential oils that boost the hair growth, leaving it longer and shinier. It’s supposed to sustain the hair growth and the blood circulation, preventing hair loss altogether. Rosemary oil- is loaded with antioxidants that revers the premature graying of hair and reduce the risk for hair thinning. It stimulates the hair follicles as well. Tea tree essential oil- has antifungal, antiseptic, antibacterial and antiviral abilities. It addresses various infections and solves various scalp-related conditions too. It’s effective for exfoliating and opening the blocked hair follicles. It also improves the immune system. Jojoba essential oil- is rich in essential nutrients with vitamin B and E, but also in minerals (zinc, copper and silicon). It has antifungal and antibacterial properties and hydrates the hair and scalp. It also contains vitamin B so it retains moisture in scalp and hair. It stops the balding process and eliminates dryness and dandruff. It doesn’t leave any residue either. Finish the serum with 5 drops of rosemary essential oi. Shake the ingredients very well. Use only a bit of the mixture onto your palm and rub it carefully for even spreading. Massage the serum so it blends nice into your scalp, using a circular motion. You may use the serum every single night, before going to sleep. You’re going to get better results when the oils are actually sitting on your scalp overnight. Use a gentle shampoo in the morning and wash your hair and scalp for completing the treatment. Each of these DIY hair growth serums are amazing for your hair and aren’t going to endanger your health in any way. Don’t be afraid to try several recipes, but do get informed about how to better combine the essential oils. After all, you still want to stay on the safe side! Recent reviews on Sugar & Fluff Beauty: the Neocutis Bio Restorative Serum Intensive Treatment, the Rodial Bee Venom Moisturizer, the StriVectin TL Advanced Tightening Neck Cream, the Oz Naturals Serum., the Brickell Men’s Advanced Anti-Aging Routine Review.